Chipmaker Broadcom has sweetened its bid to buy Qualcomm for more than US$121 billion, ratcheting up pressure on its rival to come to the table for negotiations in its "best and final offer". Broadcom, led by ambitious CEO Hock Tan, is seeking to build a behemoth chip company to get major market share and lock in billions of dollars being spent by telecom companies to build out the 5G network. In the new offer, Broadcom has kept the cash part of the deal at US$60 per share - the same as its previous offer - but increased the stock part to US$22 worth of Broadcom shares from US$10. Qualcomm shares were down three per cent at US$64.13 in early trade. Broadcom shares were up one per cent at US$238. 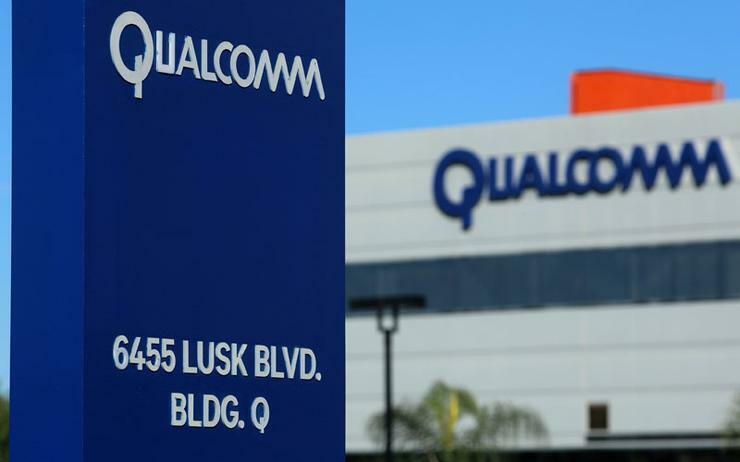 ”Qualcomm and its board now have a tough decision as this is a compelling offer in our opinion," said analyst Daniel Ives of GBH Insights. In what would be the largest tech deal in history, Broadcom said it was willing to increase the cash part of the deal if the transaction is not completed within a year after any definitive agreement, and would pay Qualcomm a significant "reverse termination fee" if regulators scuttle the deal. Broadcom could pay a break-up fee of up to US$10 billion to Qualcomm, CNBC reported citing sources. Qualcomm said it would review the revised proposal and will have no further comment on the proposal until its board has completed its review. Broadcom said it remained confident that the deal would be completed within 12 months following a definitive agreement. Qualcomm had said that the regulatory review processes required around the world would take much longer. Any deal between the two companies would attract significant scrutiny across several countries where they operate. The U.S. Federal Trade Commission last month made a second request for information on Broadcom's bid. The new offer also puts pressure on Qualcomm to either buy NXP Semiconductors NV at US$110 per share or terminate the US$38 billion deal. NXP shareholders had held up a deal, saying it undervalued the company and had sought a price as high as US$135. If Qualcomm accepts Broadcom's offer, it would have to drop the NXP bid as it is unlikely that NXP shareholders would accept the original price after clamouring for a higher price. NXP shares were slightly down at US$119.83. In November, Qualcomm rejected Broadcom's US$70 per share cash-and-stock bid that valued it at US$103 billion. Qualcomm had said Broadcom's offer significantly undervalued the company. Reuters reported exclusively on Sunday that Broadcom had planned to raise its offer. After Qualcomm rejected its earlier offer, Broadcom and private equity firm Silver Lake Partners took the offer hostile by nominating 11 directors to its board in December. Qualcomm later rejected the nominees. Shareholders will vote for or against the nominees at an annual meeting on 6 March. Singapore-based Broadcom is known for its connectivity chips used in products ranging from mobile phones to servers and Qualcomm provides chips to mobile carrier networks to deliver broadband and data - a business that will benefit significantly due to the roll out of 5G wireless technology. Accenture has estimated that wireless operators will invest as much as US$275 billion in the United States alone over seven years as they build out 5G.